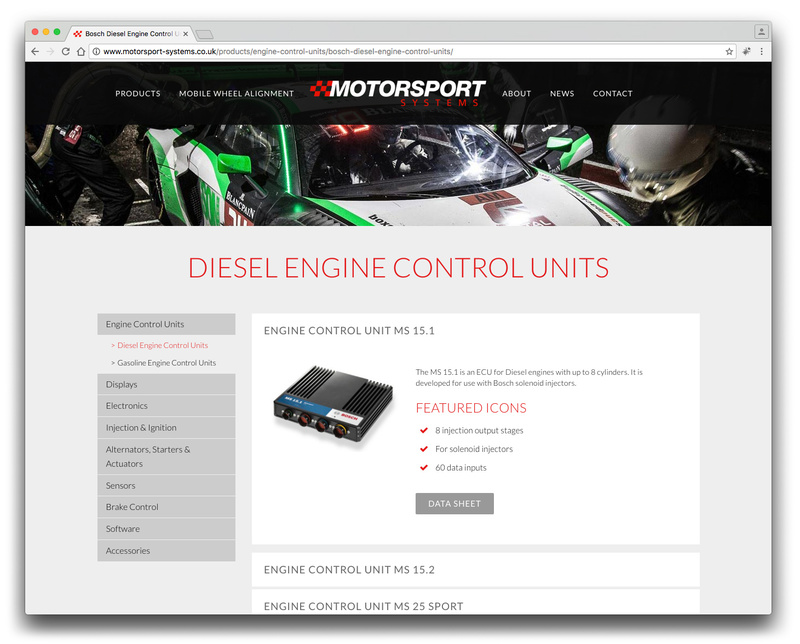 Motorsport System’s website is rich in product information and data. 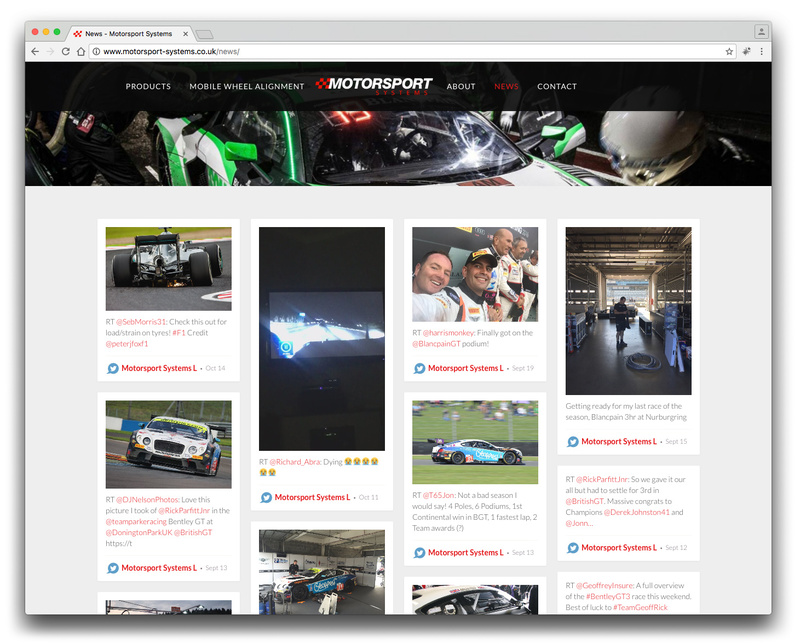 Key also to this website is the social wall – simple and easy for the client to update from the pit wall of what race circuit they happen to be at. 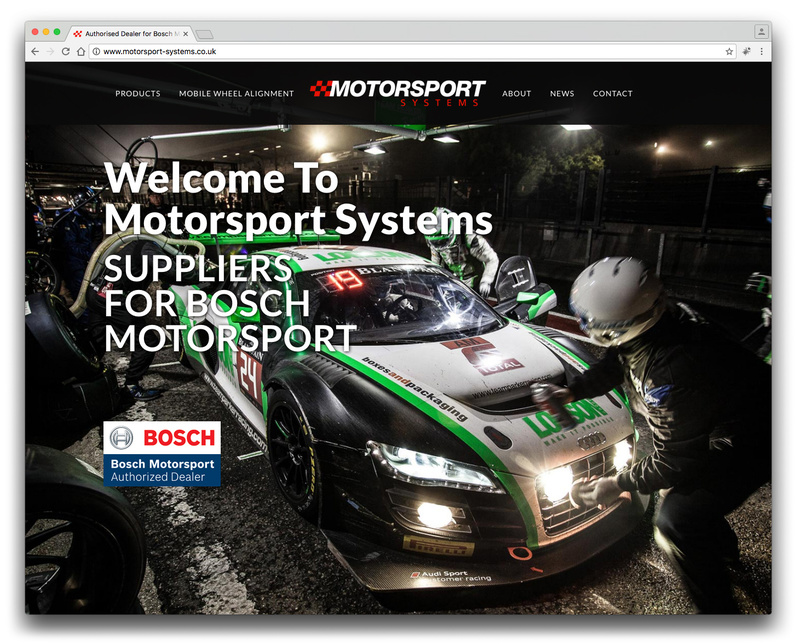 Strong emphasis on SEO for this website as they are an “Authorised Dealer for Bosch Motorsport” – a competitive area!